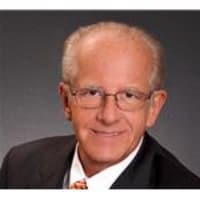 Currently licensed in The District of Columbia, Maryland and the Commonwealth of Virginia First licensed to transact Real Estate in Virginia in 1978, acted as a Realtor in Tidewater and later in Northern Virginia with Mount Vernon Realty in the newly formed Business Brokerage division. Developed land and built homes on his own account from 2003 to 2006 Visited almost 80 Countries on business during a 20-year period where he developed and maintained a network of relationships thru out the World. Mr. Crawford has an ongoing relationship with many licensed Realtors in the Washington DC Area that represent most cultural backgrounds and groups. Mr. Crawford produces professional videos on most properties in several languages and features other Realtors describing the property in their own language. Mr. Crawford produces this at his own expense and licenses the associate agents to utilize them without any changes. The agents are not part of Mr. Crawford’s organization or any “Team or Group” therefore they can market the property to their customer base as buyer agents. This increases the exposure of the property exponentially and immediately. Go to https://youtu.be/4BkRyoDED5E For a sample of the video The videos are also posted on many websites and 80 multiple listing services thru out the world. Memberships University Club of the District of Columbia Life Member of The American Radio Relay League National Aviation Club (Former) Potomac Valley Radio Club (PVRC) Belmont Country Club Fairfax Hunt Club – Member, Former President Other Graduate Certificate on E Commerce UVA Global Property Specialist Recipient of The Public Service award by the ARRL Member Congressional Advisory Board (Former) Participant on many trade representation trips overseas (USG and State of CA) Charles “Don Carlos” Crawford is a resident of the DC Metropolitan Area for over 40 years. He is fluent in both English and Spanish, and has travelled extensively internationally. As an accomplished business executive and investor who is active in community organizations, he is respected by his clientele for his gregarious nature, investor mind-set, prompt follow-up and intimate knowledge of Washington DC including Northern Virginia, the Maryland Suburbs ,Annapolis Maryland and Smith Mountain Lake in South West Virginia. Charles is sought after by a range of home buyers and sellers who are seeking to work with a true professional, with high ethics and a sincere investment in their family’s well-being. When you work with Carlos, you are fortunate to have earned a friend that can assist you with introductions to clubs and organizations, reputable home improvement companies and reliable service companies including landscapers, air condition maintenance, security, cleaning contractors and more. As a corporate executive, Carlos’s career involved global sales and multi-site operations management. He has led major contract sales, managed multilingual teams, and been widely recognized for exceptional customer satisfaction. HIs global experience enables him to sincerely serve clientele through-out North America, Latin America, Europe, Asia and the Middle East. In residential and investment real estate, Carlos is highly regarded for his responsiveness, market insights, and treating his clients as they were extended members of his family.